The Ghana Immigration Service (GIS) – Tema Regional Command – has received two Ghanaians on board MV Maritime Voyager attempting to stow away to China. The Ghanaian teenagers aged 17 and 19 were found hiding in the vessel by the crew at the Tema Main Harbour during their routine inspection before take-off. The young men are school dropouts who hail from Takoradi. They boarded the vessel from the Takoradi Main Harbour in the Western Region through the vessel’s anchor space. They have since been handed over to the Tema Police Regional Command by GIS for further investigations after debriefing them. 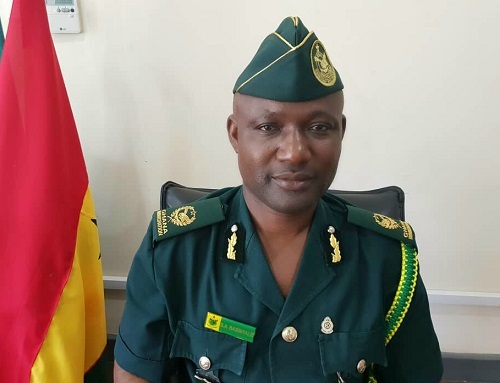 In a related development, the Tema Regional Commander of the Ghana Immigration Service, Assistant Commissioner (ACI) Samuel Basintale Amadu, said the Command recorded 21 cases of male stowaways from Ghana, Nigeria and Tunisia trying to stow away to Europe last year. The Ghanaians totalling five were processed and handed over to the Ghana Police Service for onward investigations and the foreigners were repatriated to their home countries. He advised prospective travellers to desist from hazardous and perilous journeys which endanger their lives. He further cautioned that the supposed greener pastures they are running to do not exist and that the youth can make it here in Ghana with hard work. He further advised them not to engage the services of middle-men or embark on other illegal means to travel out of the country.